If you are deciding to download the Small Fortune Game App, then you have ITV’s phenomenal game show right in your device. This is a seriously fun game that puts you into the position of the player in a studio, so that you can test your skills. So, can you slide a pint down the mini bar? Can you land the loop over Little Bean? The best part is that you can practice before you are playing it for real. Only you can judge that when can you press the button. You get Five 3D games from the show. Little Ben, Tiddly Sphinx, Dinky Dockyard, Stones Throw and Pint Size, everyone included. Two free lives per person only! New games are promised soon! The seller of the app is Youngest media. The app size is 290.4mb and it is in the games category. The compatibility of the app in the iTunes App Store is iOS 8.0 or later. Also, it is compatible with iPhone, iPad etc. The content rating of the app is 4+. 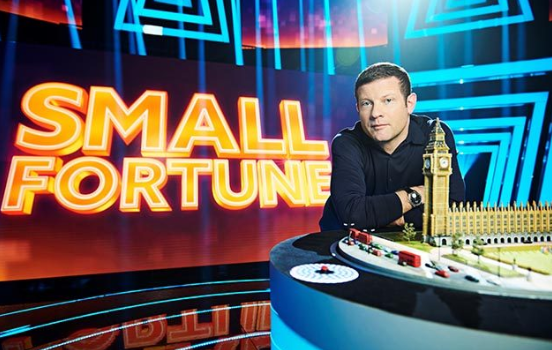 The show will be started recently; The Small Fortune claims to be smallest game show in the world, as all the participants navigate a miniature world to win to what according to them is a “BIG PRIZE” The show is nestled just before the popular talent show which is the voice UK. The show will be hit on Saturday night. The prime time game show hosted games may be small but they come with a big price tag. The contestants will be given a chance to bank up to But, also due to the small nature of the game, one small mistake will bring the curtain down in their balance. So, now getting back to the game, I think that by now you will already have liked this app so much and would be really thrilled to play it, and so am I. The app can be downloaded from the App store. It is an amazing app. So go forward and download it now and you will never regret it.